We live an in increasingly do-it-yourself world, with access to tax information through the internet, and technology seemingly designed to make our lives easier, we all want to take more control and save more money. 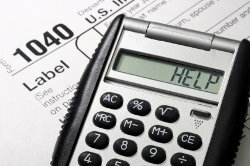 As a small business owner, it is important to remember that the benefits of having a professional handle your taxes could end up saving you much more than the fee's charged. An Austin CPA firm like Richard Barnes CPA PLLC can end up saving you not only a vast amount of time and frustration but a great deal of money as well. Request a FREE initial consultation today or call 512-785-3285 to learn more about our year-round services.